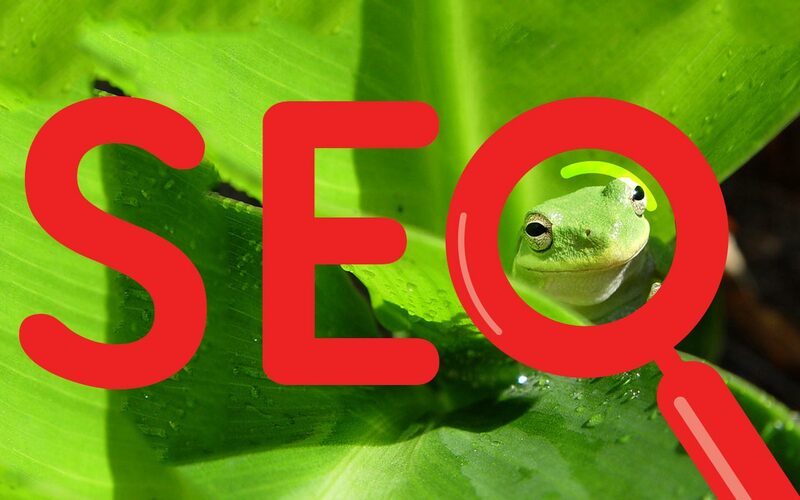 Enhancing SEO takes a lot of work, but at least with this final step in the process you can have a little bit of fun. The fourth cornerstone of SEO is SMM, or Social Media Marketing. For those who may not know, social media marketing is the process of gaining website traffic by using social network sites such as Facebook, Twitter, Pinterest, et cetera. With so many choices out there these days, tackling a social media plan can become as overwhelming as the entire search engine optimization campaign. But, we know the secret to the best social media plan, and we are sharing it here with you. The best social media plan is: to have a plan! This may seem obvious, but many businesses enter the social media world blind and find that they don’t have a lot of success. 1. Choose the right social media sites for your business. 2. Remain active on those sites. Some businesses choose to have an account with every site they know, and a lot of times this is a mistake. Sure, if you’re a large business with expendable funds and plenty of personnel to handle all of your accounts, then this may be the way to go. But, if you are a small business with limited funds, personnel, and time, you need to research the different sites out there and pick one or a few that complement your business. During your research keep in mind the purpose of the site and the audience. For instance, Facebook and Twitter are great for daily updates, news, and customer interaction. For any business, having an account on at least one of these is essential. They are your all-purpose social media. Google+ is catching up to Facebook in the amount of profiles but is oriented towards communities. In this way, Google+ is like LinkedIn in that your company can participate in groups relevant to your business which is great for professional networking. We also recommend that every business have a Google+ page, and for brick & mortar businesses a Google+ Local page, because obviously activity within Google’s own social site can only help your SEO with the search giant. Pinterest now has 70 million users with only 500,000 business pages, making it a still untapped resource. They are beginning to experiment with paid ads which has the potential to be an entirely new advertising avenue. However, images and/or graphics are a requirement for creating pins, so for businesses that don’t offer products or design work, Pinterest may not be the best route. Foursquare is a fantastic site for brick & mortar establishments. Google considers a business’ check-ins in their search algorithm, and it is also a great way to offer deals to consumers who promote your business by checking in. It’s not enough just to show up to the game, you have to show up ready to play. No athlete has ever become a star by sitting on the sidelines, and no business will ever stand out if they don’t stir up some activity. Social media is the best way for a company to have control of their internet chatter. Once you’ve chosen your preferred sites, make a schedule. Plan out how many times a day you will post, and to which sites. When we say active, we mean be active. Posts should be daily at the very least, preferably twice to five times a day. It is important to remember that the average post has a life span of approximately two hours before it is relegated to obsolescence. Decide whether you’re going to use your posts to share industry tips, company news, offer deals, advertise events, interact with consumers, or all of the above. The most important thing is that your business is on your sites every day interacting with existing and potential customers. The more chatter generated through social media, the higher your ranking will be. Social media has quickly moved into a visual means of communication. Text posts can still do well, but whenever possible it’s best to add an attention grabbing image. 1. Whenever possible upload the photo directly to the post rather than linking to it. 2. When sharing content from yours or another site, share directly from that site whenever possible to avoid text in the post by copying the link. 3. When creating pins on Pinterest, use high resolution images so your pin is large and stands out. 4. Include photos of yourself and/or your employees every once in a while. These more candid shots, in which you can tag everyone present and reach all of their friends as well, are great for personalization and tend to inspire more interaction. 5. Highlight horizontal photos in Facebook. Click the little down arrow in the post box and click highlight. This will spread horizontal images across your page. As we’ve said, the most important social media plan is to have a plan. These tips are a guideline to get you started on a plan that will succeed. For information regarding our social media marketing services contact us. We decided our Facebook page would be a source of information on design and inspiration for the advertising industry. We broke out each day of the week into featuring a different aspect of the multimedia world we live in. Our Company LinkedIn page provides an overview of our business and outlines the services we offer. It’s a great way to network and get referrals for the projects we’ve worked on. We’ve created several different pin boards on our Pinterest page to showcase our design work and pin photos and graphics that we find inspirational for our business. This is a great way to show clients what we’re capable of and gives them a place to look for design ideas that we can implement for their business. 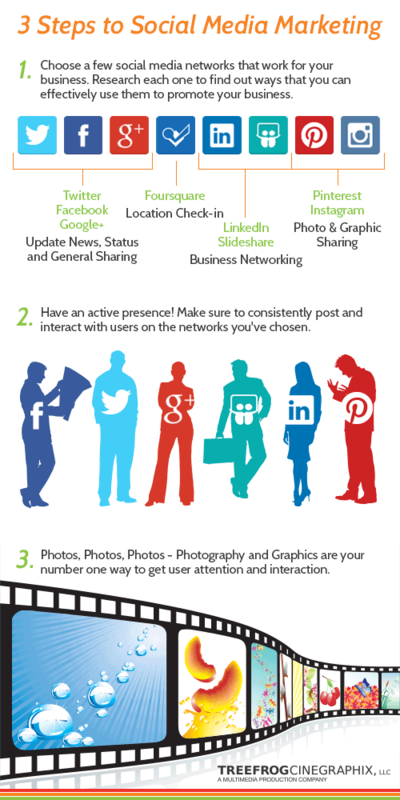 These are just a few examples of how to use social media to connect with customers and market your business. Posted by Rita on September 11, 2013, updated January 26, 2016.